Indoor Field Hockey is played on a solid court surface, which is smaller in area than a traditional field. The teams are setup in a 6 vs 6 format. Game play is much faster and technically demanding because of the surface, smaller play area and the use of sideboards. 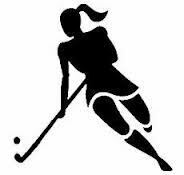 Indoor Field Hockey is known to improve a player's stick handling skills and vision on the field. Our teams will compete in Regional and National Tournaments.